Cases are more likely to require hospitalization and treatment in an intensive care unit. 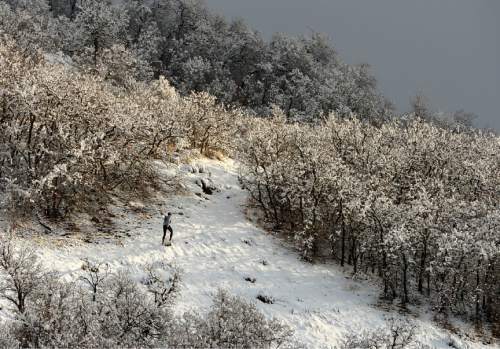 Leah Hogsten | The Salt Lake Tribune Josh Schut of Layton takes advantage of the good weather on Tuesday, January 13, 2014 to hit the Great Western Trail above the Layton foothills for a two-hour run. 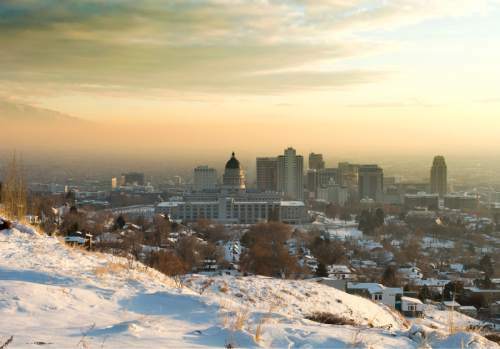 Jeremy Harmon | The Salt Lake Tribune Downtown Salt Lake City is covered in an inversion layer Friday, Jan. 9, 2015. 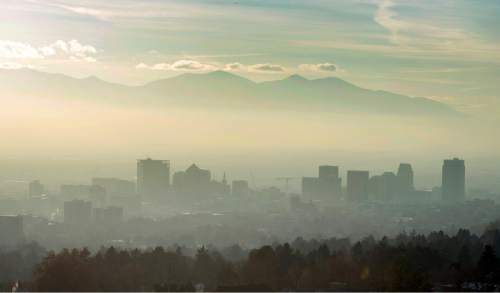 Rick Egan | The Salt Lake Tribune Afternoon haze in Salt Lake City, Saturday, January 3, 2015 Jeremy Harmon | The Salt Lake Tribune Traffic makes its way along I-15 while Salt Lake City is covered in a heavy inversion Friday, Jan. 9, 2105. 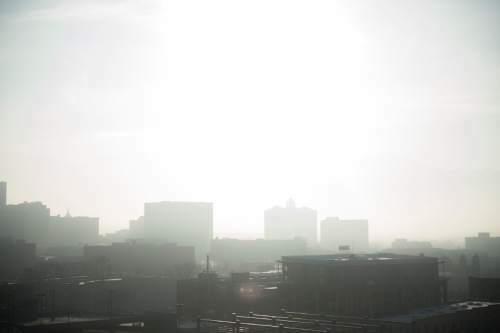 Pneumonia is a major health threat to the elderly, but new University of Utah research shows the Wasatch Front&apos;s wintertime particulate air pollution can make this common disease even more dangerous. Among those age 65 and older, the chance that a case of pneumonia will lead to a trip to the hospital dramatically increases when inversions drive up concentrations of fine particulate, or PM2.5, said Cheryl Pirozzi, a U. pulmonologist who presented scientific findings Tuesday at an annual air-quality workshop at Fort Douglas. "Increased PM2.5 exposure was associated with increased pneumonia events, emergency department diagnosis of pneumonia, hospital admissions, and of those with pneumonia, there was increased severity," she said. Higher pollution levels also increased the odds that a patient would need treatment in an intensive care unit, although the likelihood of death did not show much change. Pirozzi was among several Utah health, atmospheric science and engineering researchers describing their investigations into the air quality challenges facing the Wasatch Front, the Cache Valley and the Uinta Basin. Such research is vital to help state regulators and lawmakers craft solutions that are tailored to Utah&apos;s unique mix of pollutants, topography and weather, according to Bryce Bird, director of the Utah Division of Air Quality. Much of the science presented Tuesday was funded by last year&apos;s legislative infusion of $1 million into air quality research. "We need the ability to know that as we make decisions we aren&apos;t making the problem worse or just chasing the problem down the road," Bird said. "It is the particles causing the problems or is it the makeup of the particles? The questions we need to answer have to go deeper." Policy changes have to be grounded in science, said state Rep. Patrice Arent. "I don&apos;t want to run a bill unless it&apos;s based on good data," said Arent, D-Millcreek, who has pushed legislation to create incentives for replacing and upgrading old, polluting cars and appliances. "I don&apos;t want to run feel-good bills. I want to run bills that will make a difference." Investments in science and emission-reducing technology can more than pay for themselves if they reduce pollution&apos;s costly impact on human health. Last year, 3.7 million Americans died from illnesses attributable to air pollution, according to pulmonologist Robert Paine, who heads the U.&apos;s Air Quality, Health and Society Program. It&apos;s not just respiratory illnesses, such as pneumonia and asthma, that raise concern ­ strokes, heart disease and other cardiovascular diseases account for most of the deaths. "Where you live makes a difference. Worse air shortens life expectancy. 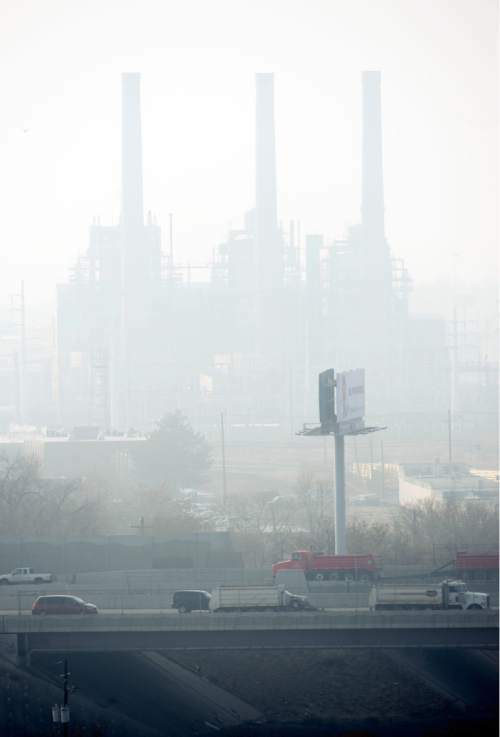 More particulate pollution leads to a higher death rate," said Paine, who serves on the Utah Air Quality Board. "The good news is as pollution decreases, death rates decrease as well. From 1980 to 2000, (national) life expectancy grew 2.7 years. About 15 percent of that change was due to improvements in air quality." Another U. researcher, sports scientist Russell Richardson, presented data that indicate pulmonary function plummets in healthy people during polluted days, much more than in patients with chronic obstruction pulmonary disease, or COPD. "We are taking normal healthy people and by exposing them to air pollution, making them look like someone with COPD," said Richardson, a professor of geriatric medicine. "There is a conundrum in the Salt Lake Valley because physical activity increases your exposure." Pirozzi&apos;s team analyzed cases of pneumonia, which leads to 1.1 million hospitalizations in the United States and contributes to 52,000 deaths, most among the elderly. Researchers examined 4,758 pneumonia cases from seven Intermountain Healthcare emergency departments in 2010 and 2012, correlating them with atmospheric concentrations of PM2.5 in the preceding seven days. For patients under age 65, air quality did not have much effect on the chance that they would be admitted to a hospital. But for the elderly, a modest increase in PM2.5 concentrations increased the likelihood by 30 percent. The odds that a patient admitted to the hospital would wind up in the intensive care unit increased by 89 percent. "Older people are known to be at higher risk for pneumonia and severity of illness increases as you age. Older adults are just more susceptible to pollution-induced effects," Pirozzi said. "Inflammation is playing a big role; inflammation related to pollution exposure leads to impaired defense against infections."